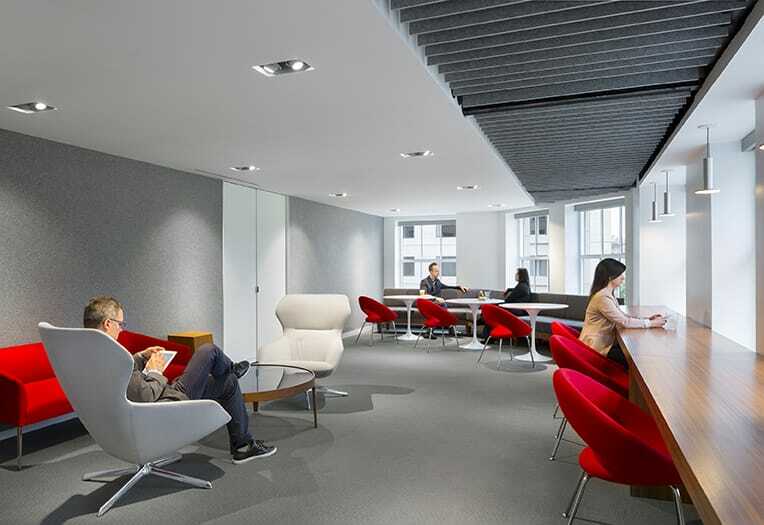 Gilbane delivered exceptional services for multiple law office renovations. Gilbane was selected to provide construction services for two high-end renovations of Cooley, LLP offices, both designed by Studios Architecture. Cooley, LLP needed space to encourage collaboration amongst its employees and clients as well as storage for the growing DC area offices. The downtown DC office, located within walking distance of the Metro Center, included a new elevator lobby with back painted glass and ornamental metal, glass office fronts, cyber café, record storage, new training facilities, demountable partitions, linear light fixtures, porcelain tiles, and fabric panels. 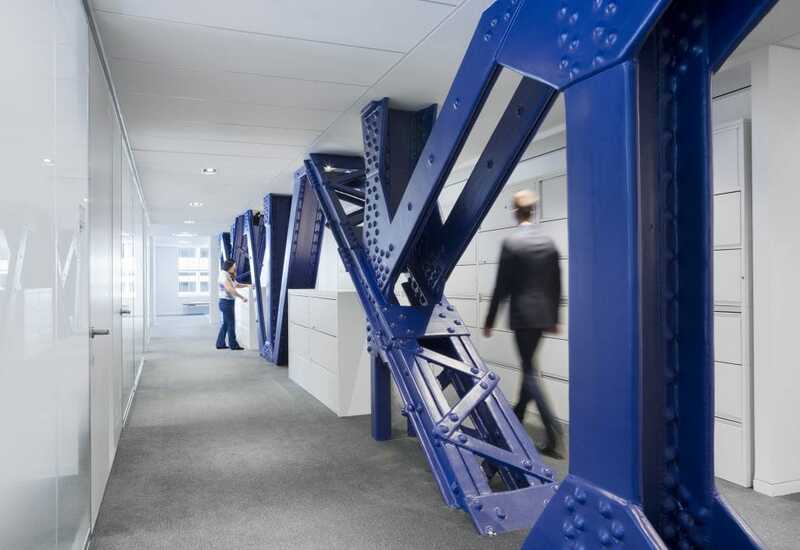 The design features existing exposed trusses throughout. The 16-week renovation project took place while the space is partially occupied. Currently, Cooley occupies the 11th, 15th, 16th and17th floors of the Reston, VA building and took on additional space on the 14th floor as part of the renovation. The first phase of the project enhanced the current perimeter and interior offices and support areas to accommodate the approximately 130 employees working from the Reston office. Other upgrades included a conference center as well as a common room café. Gilbane’s dedicated focus on safety proved to be crucial during this renovation as portions of the 60,000 SF space remained occupied throughout the duration of construction. Additional renovations included a full restoration of the 15th, 16th, and 17th floors to include new offices, administrative areas, work rooms and support areas, as well as terrace upgrades to the building.